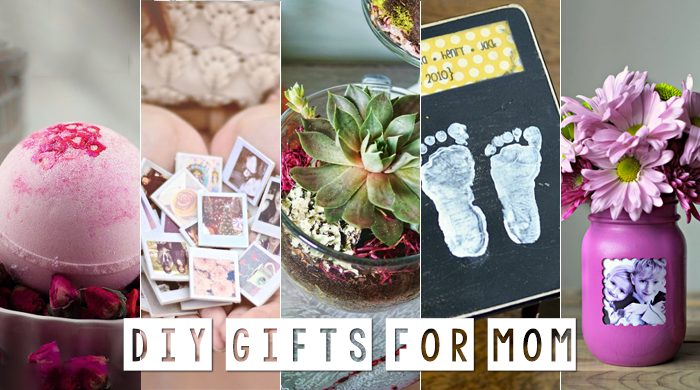 11 Unique Mother’s Day Gifting Ideas She’d Love! Celebrated on the second Sunday of May each year, the mother’s day is just around the corner and it is time for all the children to plan something special for their beloved mothers and all the women who have always showered selfless love and care on them. While the idea of fine-dine is a forever classic, the idea of finding a unique and thoughtful mother’s day gift never fails. If you are already on a hunt for a mother’s day 2018 gift, here are our 11 unique gifting ideas that she’d love. If budget is never a constraint for you, you can bring infinite smiles on your mother’s face with a gold legacy necklace as a mother’s day gift for her. Also available in silver, these legacy necklaces have adjustable chains, center charm and great style that no woman in the world can resist. When you’d get a specific name, date or message written on its circular or rectangular charm, it would become all the way more precious your mother. Whether your mom loves coffee, tea or hot cocoa, she deserves a beautiful personalized mug for herself. Available in multiple style and sizes, you can get a beautiful message printed on the mug that could make your mom feel super special. Just think about the smile on her face every day when she sips her favorite drink from this personalized mug. Give her time! Indeed, mother’s love to cherish each moment spent with her children. With your time, gift a beautiful timepiece to her. From polished to ceramics to rose gold tones, the options of a beautiful watch are endless and she is definitely going to treasure it forever. A beautiful watch is forever classic gift for all occasion including the mother’s day 2018. Do you remember the time when your mom used to cook your favorite food all the time? Oh, she does the same even now! Well, it’s time to return the favor and shop some awesome gourmet delicacies for her. If she loves something else in food, try to cook it for her as a mother’s day gift and trust us she would be delighted to the next level. No matter if your mom is a fashionista or not, a beautiful indo western kurti or dress is something, she’s going to love for sure. While there are lots of stunning indo western dresses and kurtis available for mother’s day 2018 gift, you should pick the one that will complement your mother’s stance and personality completely. And if you are worried about the size, shop designer indo western women clothing from Missprint for surprising your mom. Lots of mom love to read and if your mom falls under this category, you really need not to think much. Check out from her which book is she looking forward to read and gift her same book. It is always great for readoholics to receive good books and your mom would love you even more. Although personalized tote bags are a rage among women these days, you can shop either simple tote bag or personalized one for your mother this May 13th 2018. This would be really helpful for your mother when she goes out on her shopping trips with her friends. A fashionable and stylish choice would assure that she carries it every time she goes out. If your mother has already got everything that you have planned to gift her as mother’s day 2018 gift, we suggest you to find an awesome fragrance for her. Having extra perfumes in closet never harms and your mom is surely going to love it. A soothing fragrance brings happiness for everyone and it would do the same for your mom. Mother’s are often conscious about their skin but, if your mom is not, its high-time you make her one. Find unique and natural skin care products for your mother and gift her beauty products so that she can look beautiful all the time. Good quality skincare products will ensure that your mom feel fresh and rejuvenated all the time. Of course, mothers become super delighted with the smallest thing you do for her on mother’s day but, if you want her to be super excited and happy, choose a glittering earrings for her as jewelry is a woman’s best friend always. Depending on your budget, you can pick from sweet to major statement piece that could make her happy. Do you know what your mother loves the most? Well, honestly speaking all the mothers in the world love each moment you spend with her. Try to find a beautiful frame and place the picture of most precious moment that you’ve spent with her. This would be the cutest gesture from you on the mother’s day 2018.